At Wave Sound and Security your safety is important to us. We do continuous research on the latest, most comprehensive technologies so you don’t have to. Today’s technology offers options that allow us to manage an alarm system and various devices throughout your home all from one system. After extensive research and testing, we are proud to offer our customers the 2GIG Wireless System. 2GIG built the first all-in-one option for security and home management, with the most user-friendly control panel on the market. The Go!Control color control panel has a built in Z-wave radio enabling various automation functions including lighting, HVAC, appliance and lock control. Two-way voice allows central station operators to communicate with you when a signal is received, ensuring proper emergency dispatch and response. 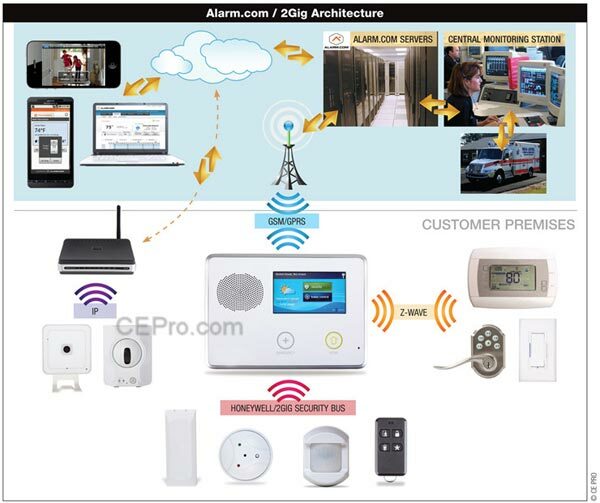 Through our partnership with Alarm.com, we also provide full control of your system from your internet connected smart phone and computer. Alerts and controls can be managed from wherever you are, whenever you need to, with easy to use web and phone applications.